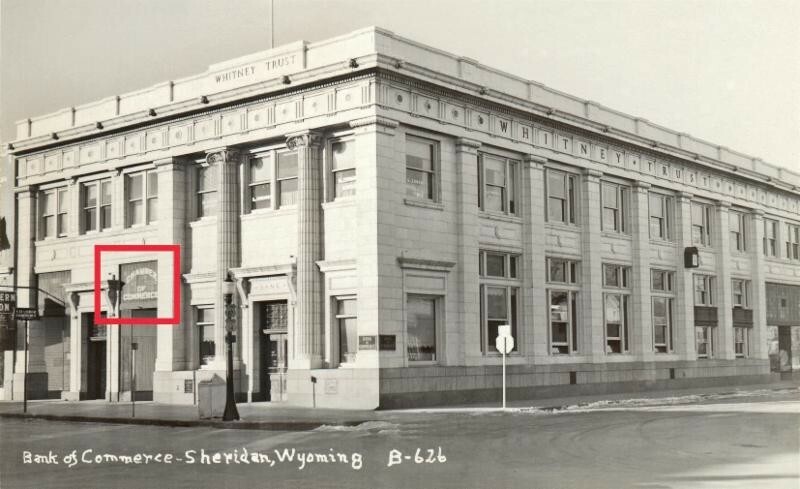 History runs deep in Sheridan County, and our Chamber Community Partner First Interstate Bank is no exception. From its humble beginnings in 1893 to the present publicly traded company employing over 1,600 people in three states, First Interstate has maintained a reputable presence in our community for over 120 years. The original Bank of Commerce, now First Interstate Bank, opened May 16, 1893 with B.F. Perkins as president. B.F. Perkins, Vern Griffith, and Homer Scott Sr., all past presidents of the bank, later went on to form foundations that are staples in the community today. Once the Bank of Commerce purchased the entire Whitney Building in 1945, it was not long after when Bernard Thomas was commissioned to paint the mural in the bank lobby. For over 60 years, the mural has been a visual reminder of the rich history in Sheridan County. Have you taken the time to study the mural? 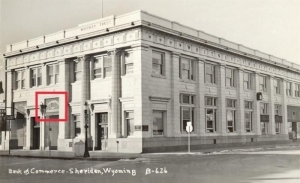 Even though the bank is well over a century old, it has never been slow in keeping up with the changing world. Just two fun examples: the bank built the first bank drive-through in Sheridan in 1969, and introduced the MasterCard that same year. The Bank of Commerce officially became the First Interstate Bank in 1984, continuing its strength in the Sheridan community, with locations on both Historic Main Street and Coffeen Ave. You can check out their full line of services at www.firstinterstatebank.com. Thank you, First Interstate, for your investment in the work of both the Chamber and all of Sheridan County.